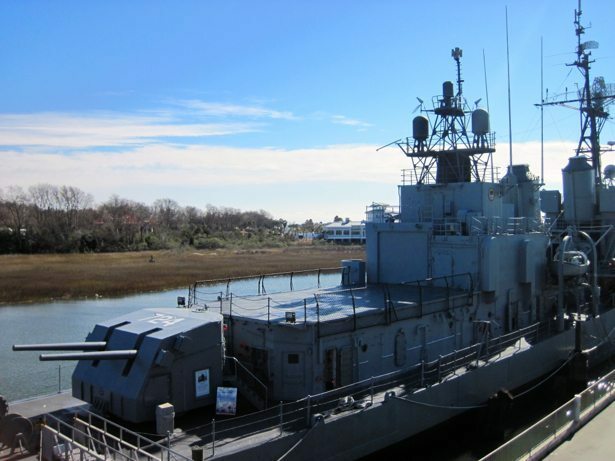 Patriots Point Museum – It’s a naval candy store! 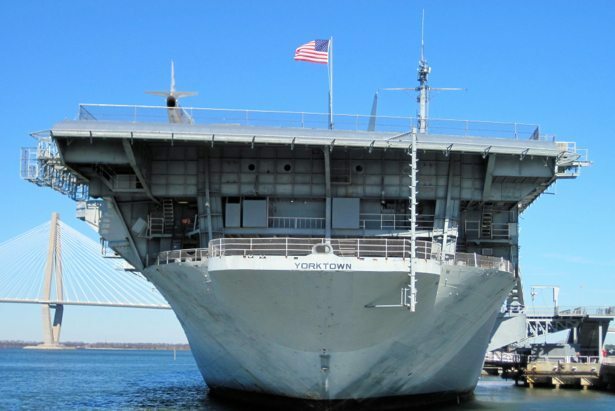 Patriots Point Museum is located right in the middle of the Charleston harbour. 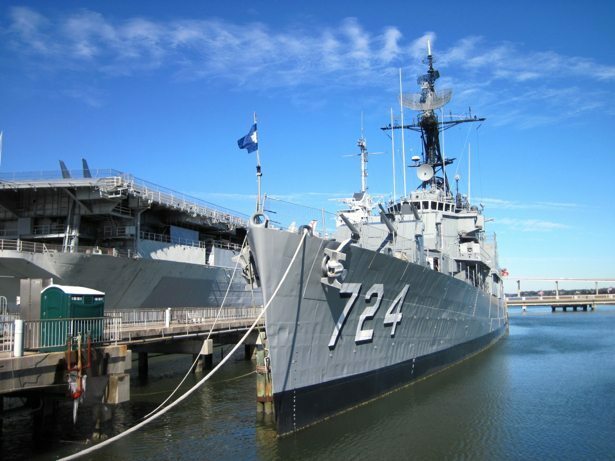 It comprises the USS Yorktown (Aircraft Carrier), the USS Laffey (Destroyer), the USS Clamagore (Submarine) as well as a Medal of Honour Museum, Vietnam Support Base exhibit and Cold War Memorial. 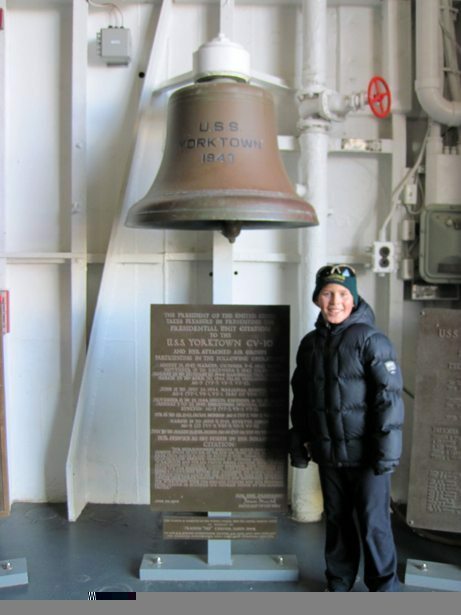 Talk about a full days exploration! We unfortunately only had 2.5 hours so it was a bit of a speedy tour. 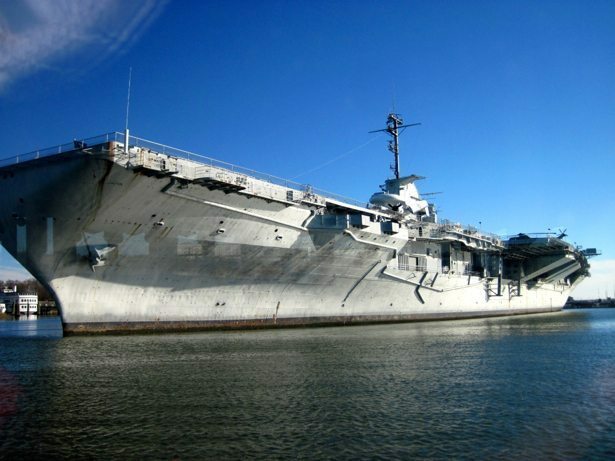 Having visited the USS Midway (Aircraft carrier) in San Diego a few times, we decided to start with the boats we’d never explored before – the destroyer and the submarine. 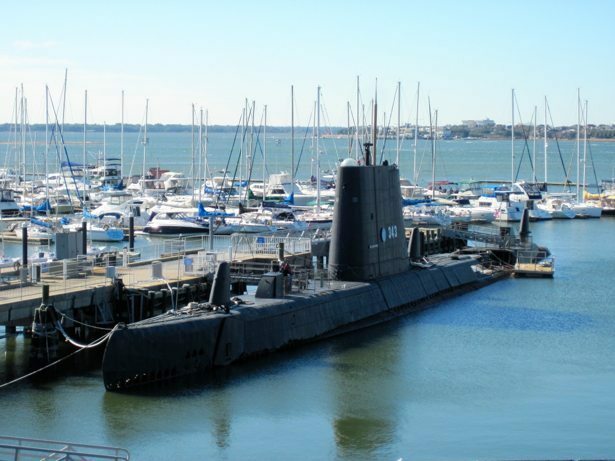 hunter’s in charge of the sub! They were both really interesting to walk through. 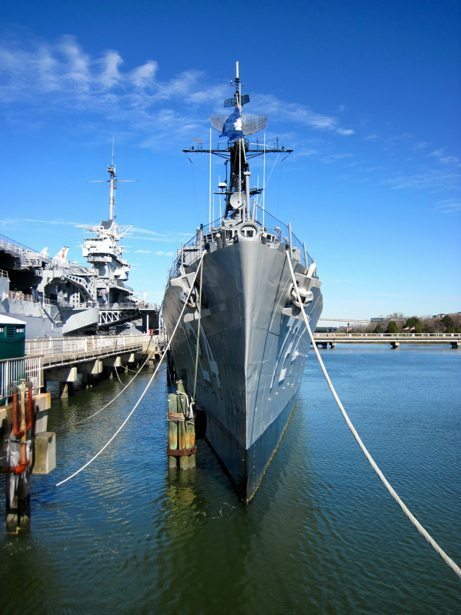 The USS Laffey (Destroyer) was built in 1944, in time to support the D-day landings and decommissioned in 1975 after a very full career. 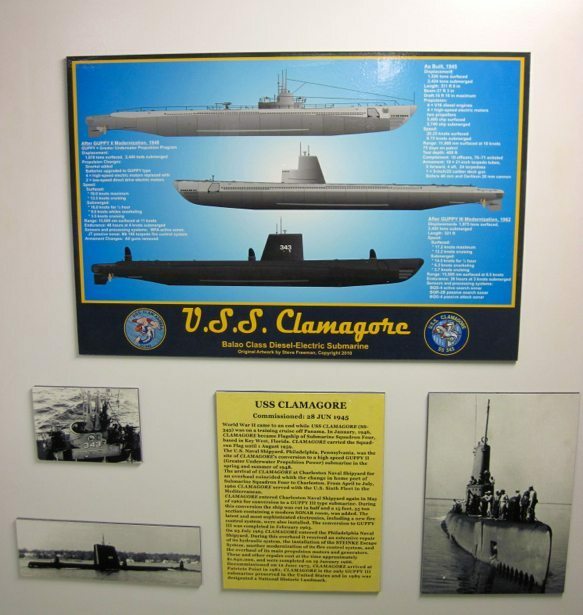 TheUSS Clamagore (Submarine) was built in 1945 and decommissioned in 1975, having served through the Cold War era. 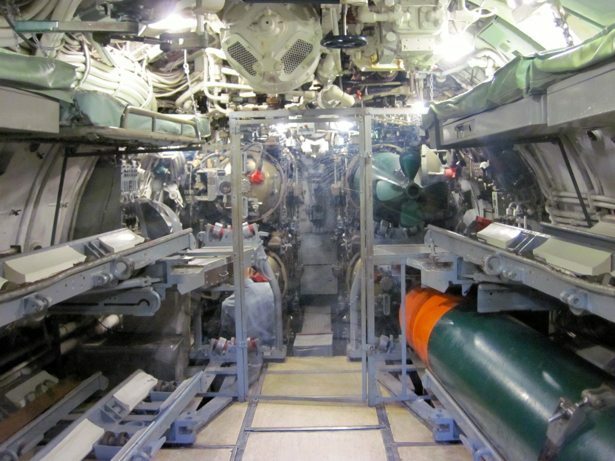 The biggest learnings were around the submarine – they are really tight spaces (width & height) and people slept where they worked. 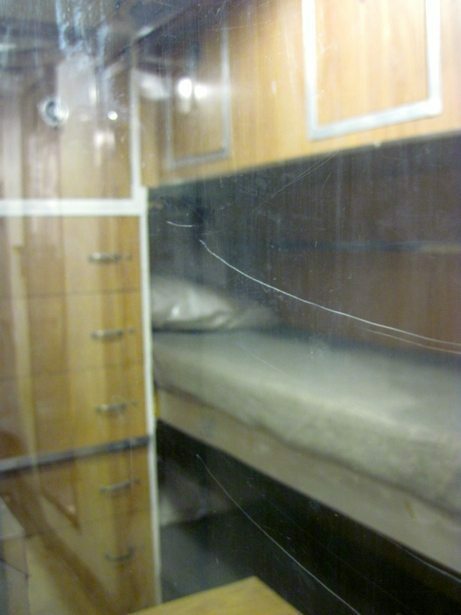 This meant that if you were a weapons tech, you slept in the weapons room. That’s a little too close for comfort for me. 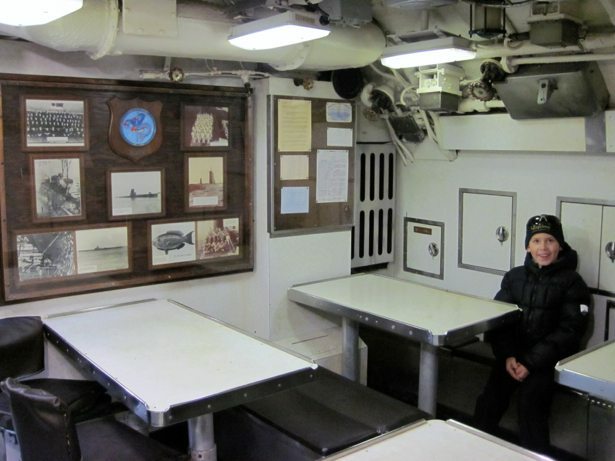 Tim and Hunter thought it was really cool and spent quite a bit of time on the Sub. I’m not a big fan of small, confined spaces so my tour through was fairly quick. 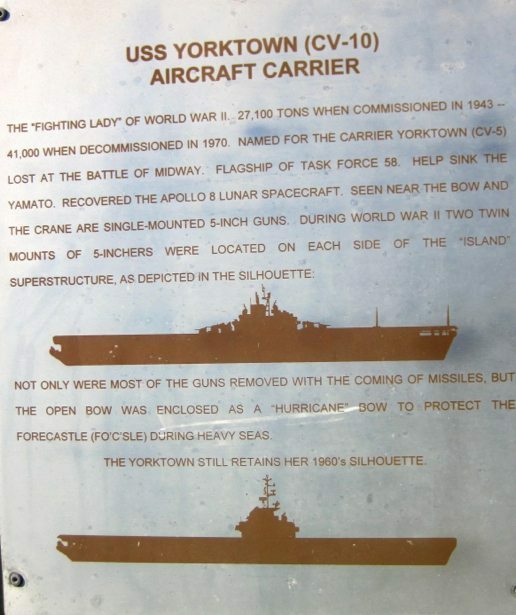 The USS Yorktown is only slightly smaller than the USS Midway in San Diego, was built in 1943 and decommissioned in 1970. 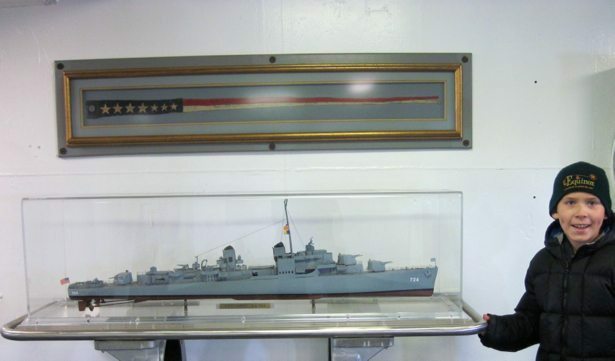 It is staffed by an amazing group of volunteers that are happy to tell you all about the ship and answer any and all questions that you have. 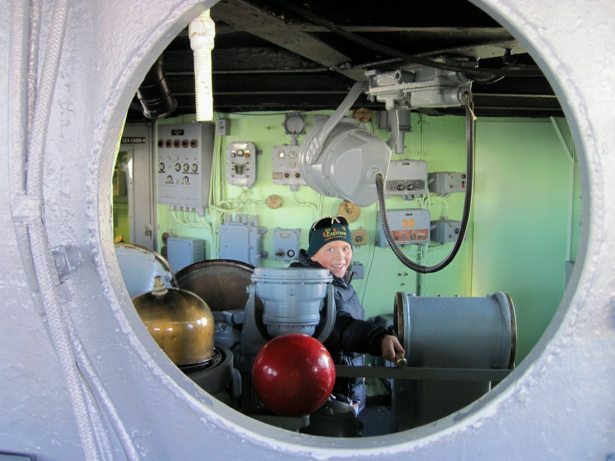 As we were running short on time, we focused our exploration here on the flight deck. 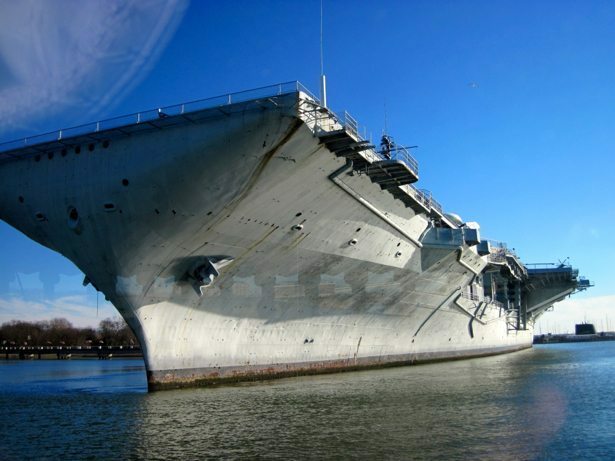 Isn’t that just nirvana – having military airplanes ON a military ship!